2Co 10:10-11 For they say, “His letters are weighty and strong, but his bodily presence is weak, and his speech of no account.” (11) Let such a person understand that what we say by letter when absent, we do when present. Well, let me answer these kind. First, what is healthy about gathering together under a false teacher and with anti-saints? In these dark days the condition of most local churches is not “hey, no church is perfect,” but “are there any real believers there at all and is the Word preached at all?” Where in the Bible are we commanded to gather together in a counterfeit church? Second, as you see in the verses above, we certainly can gather together in real fellowship even if it is not possible to be present physically. Paul did it! And this was no supposed “apostolic miracle” by which he somehow tele-transported his soul over to Corinth! No. He was present by saying Amen to their obedience and real worship and praying for them. There ARE circumstances which prohibit Christ’s people from being physically present and thus physically gathered together. Some people are shut ins due to health issues. Others have been so traumatized by the wicked wolves parading in wool that they literally cannot go to a church building. 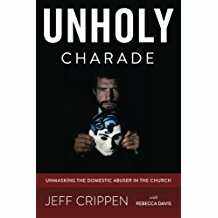 Others have been cast our of a local church for divorcing an abuser. And many others simply cannot find a genuine church and pastor even though they have searched and searched. Paul couldn’t be at Corinth because he was far away. He couldn’t be at Colossae because he was in prison. Nevertheless he said he WAS present with them in spirit. And thus we maintain that there is indeed biblical basis and justification for establishing a “virtual church” using the modern tools the Lord has blessed us with. So don’t you arrogant types out there be trying to lay Hebrews 10:25ff on us and accusing us of disobeying the Lord. It might just be that we are obeying Him and YOU aren’t! Thank you Pastor Crippen, you are right that many do say we are forsaking the gathering together of the saints – but they are wrong. As you so rightly remind us, “Where in the Bible are we commanded to gather together in a counterfeit church?” I think more harm than good comes from doing that. We lose our discernment, we lose our first love – Jesus. No church, no pastor, and no people can or should ever replace Him. And some of them are dangerous, for true Christians want truth and those churches do not want it or preach it. If a church hates the truth, then who is it following? I agree with you, and nowhere in Scripture can I find anything that doesn’t agree with you, so I am encouraged to learn that you don’t find it either. In fact, quite the opposite. Keeping the Sabbath may mean different things to different true believers, but I don’t think God gave a list of strict rules for how to do that, so I think He’s fine with it – however we do it. I was accused of being apostate simply for not going to a brick-and-mortar church. By a supposed Christian friend, no less, who is a pastor’s wife. Long story, but I learned that she was wrong by studying my Bible. We then moved to a different state and no more problem! It was the worst of what I call ‘church traumas’ for me. Church Lady is right, I have trouble going through church doors now, not knowing what awaits. It is still a problem finding a true church, however. They are now very few and far between, even though it doesn’t look like it when you see churches scattered all over town. Maybe it has always been difficult to find a true church, but I was not aware of it until these last 15 or so years. Thank you for putting your church and sermons and transcripts online, I read and listen to them, and am taught Biblical truths, and am encouraged. Em- thank you for sharing that. I identify with you. The last sentence you wrote, I say Amen and Amen!! I know that I am obeying the Lord as I am assembling with this virtual church of “like minded” believers. People who know God’s word and actually obey it! This is a real blessing for me. The apostasy is running rampant. If the church’s out there are not “slaying people in the spirit” then they are “walking labyrinths” and persecuting abuse victims. I am very blessed to participate long distance and listen to your truthful sermons. Many blessings to every brother and sister in Christ. By the way, I live in Ohio. Maybe some of the others will let us know what state they live in? I would love to visit all of you in Oregon someday! I personally think of this online congregation option as being kind of like how in Matthew it says when fasting, do it in secret, and I think (and this may be conceited on my part) we online congregants are probably more likely true Christians because nobody sees us participating, no striding about in Sunday church clothes, it’s private and our own personal doing. And some of us cannot get to church. Or we cannot bring ourselves to trust in-person churches anymore. Or we’re too traumatized to handle so many people in one place at once. Or any of the reasons Pastor Crippen gave. But if I lived in Tillamook, and also could, that’d be different. Going to church on Sunday is important. It’s God’s House. Very much appreciate the thoughts.